I was very excited to share this dish with you, but simply couldn’t settle on how to tell you about it. Should I explain how it’s a super inexpensive dish to make with only three (3!) ingredients. Or should I lament about the power of using a few good flavors instead of a bunch of flavorless ones. Or should I shout from the mountain tops about how you can have these potatoes on the table in less than 15 minutes. All respectable and yet I sat and stared at my computer screen with inner turmoil brewing getting absolutely nothing done with no decision made. So I’m going to tell you everything. In a brief, digestible manner of course. By now you know my beef with boiling vegetables, ridding them of all flavor and nutrients. But there are exceptions to every rule, and potatoes are one of them. Here in Eastern Europe, boiled potatoes are big business. Every cafe and restaurant has some version of boiled potatoes on the menu. It really doesn’t sound terribly exciting, I agree. I mean put some sour cream, gravy or cheese on those taters. Hell, throw some butter on ’em! But then I found these potatoes. 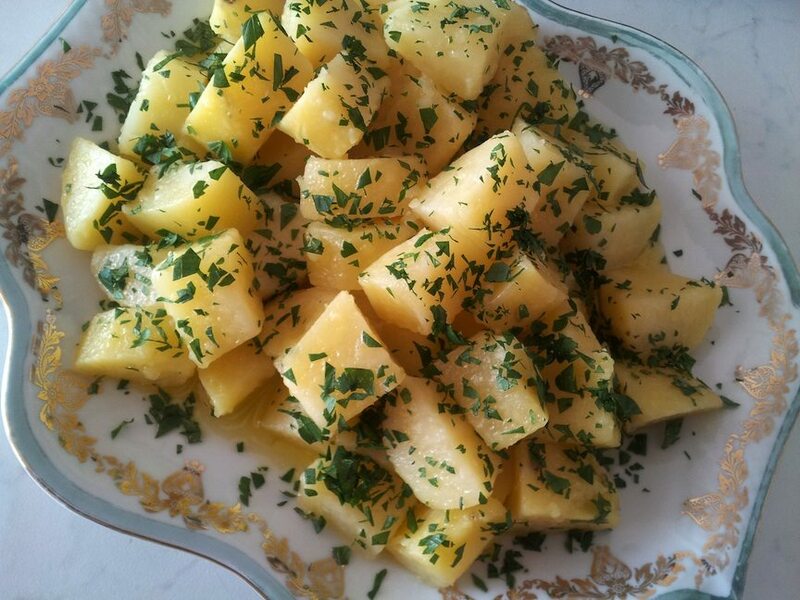 Boiled, then drenched in a spectacular olive oil and sprinkled with parsley. Three awesome ingredients, that was it. 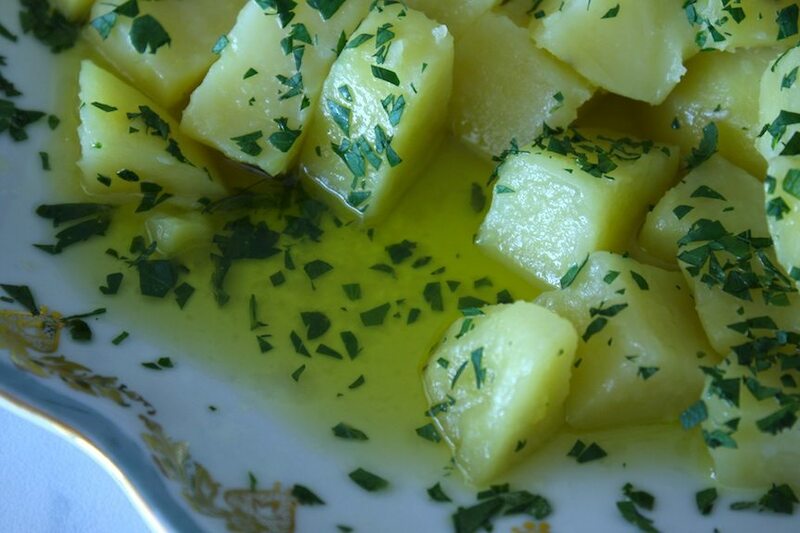 The potatoes were naturally buttery, the olive oil was sweet and fragrant, and the parsley was fresh and bright. I know what you are thinking. I can’t possibly convince you that these big potatoes have any flavor at all no matter how much olive oil you put on them. How could I possibly use these cheap-o potatoes instead of the small fancy ones. But they do actually taste good here in Croatia, like butter. Not like the starchy, dry, flavorless Russets that are good for nothing but french fries and butter-soaked mashed potatoes. You heard me, Idaho. Anyways, I couldn’t wait to make them at home. One of the easiest, simplest (and cheapest) dishes I’ve ever made. So simple that I’m not even giving you amounts or measurements of any kind. Don’t get scared, now. You can do it. Use the force, or whatever. Then eat the hell outta these potatoes. 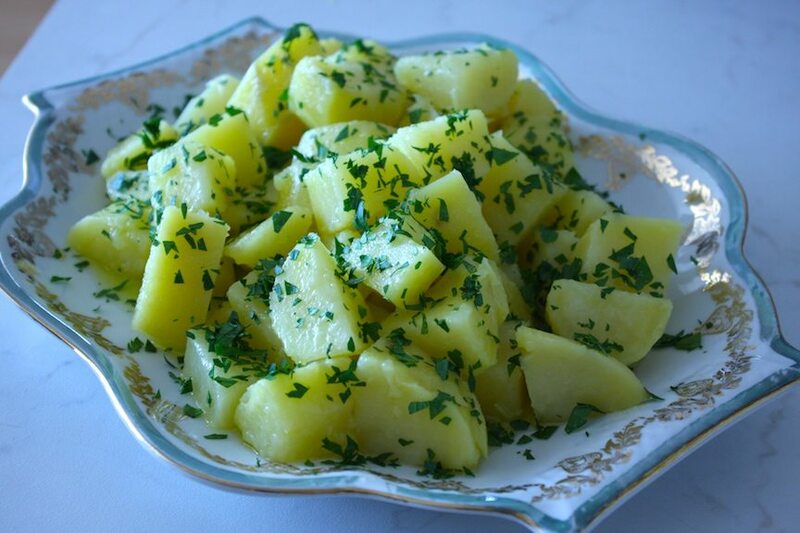 Peel the potatoes and cut them into potato salad-sized chunks. If using baby potatoes, no need to cut them, but you knew that already, didn’t you. 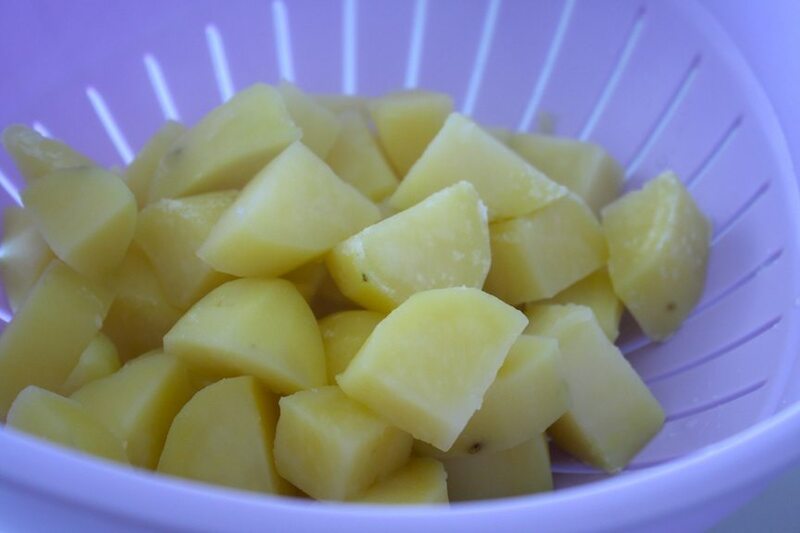 Throw them in a large pot with water and a hefty pinch of salt (more hefty than pinch). We won’t be seasoning them again, so make that water salty like the sea! Bring to a boil and cook until tender. Drain the potatoes very well. Throw them back into the hot pot. Douse them with the olive oil. How much olive oil? How ever much you want, but I recommend to err on the side of a good drenching. Gently toss so as not to break up the potatoes too much. 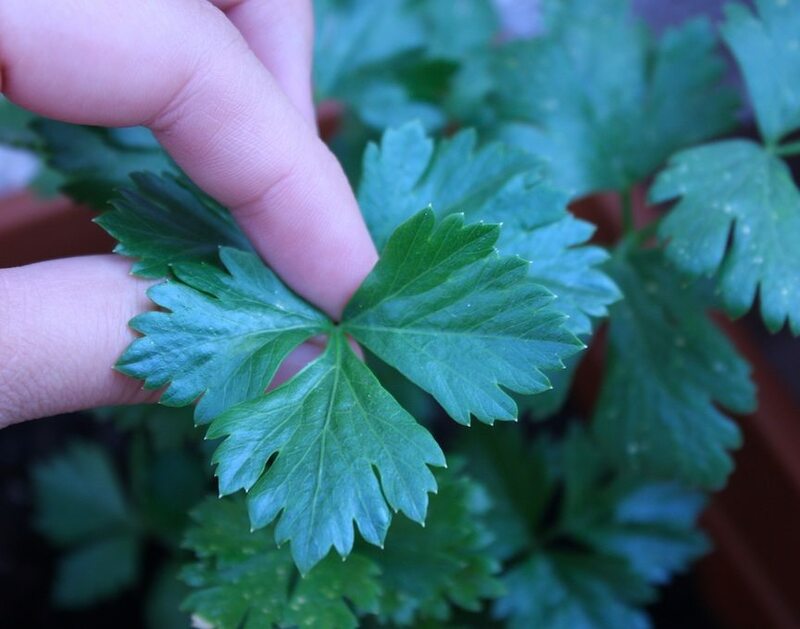 Transfer to a serving dish and sprinkle with finely chopped parsley. 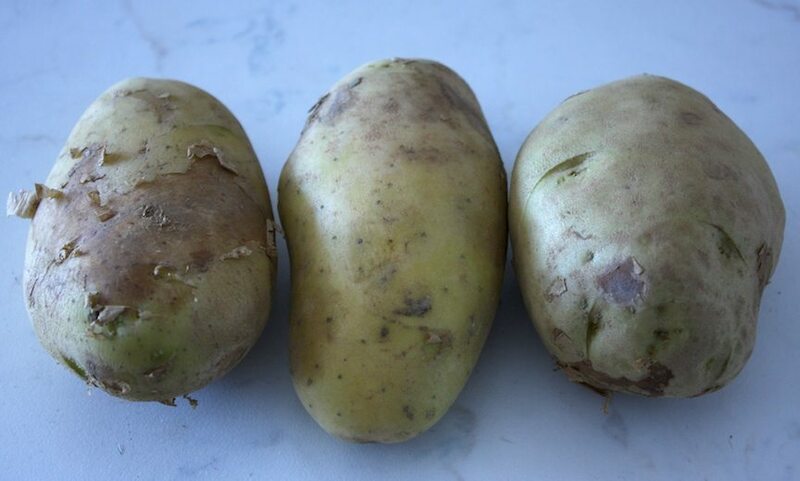 Here are some other lovely potato dishes.